I have put together some ideas of how to reclaim scrap wood. There are so many projects you can make with wood. I have listed 6 scrap wood ideas. I love when I have scrap wood at the craft table. A Crate used as a table made from an old skid and stained. This took some time. I don’t like to waste wood but skids are a pain to take apart. Anyone have any tips on this? A shelf for my chalkboard wall. I love my chalkboard wall. Chevrons made with leftover shiplap. 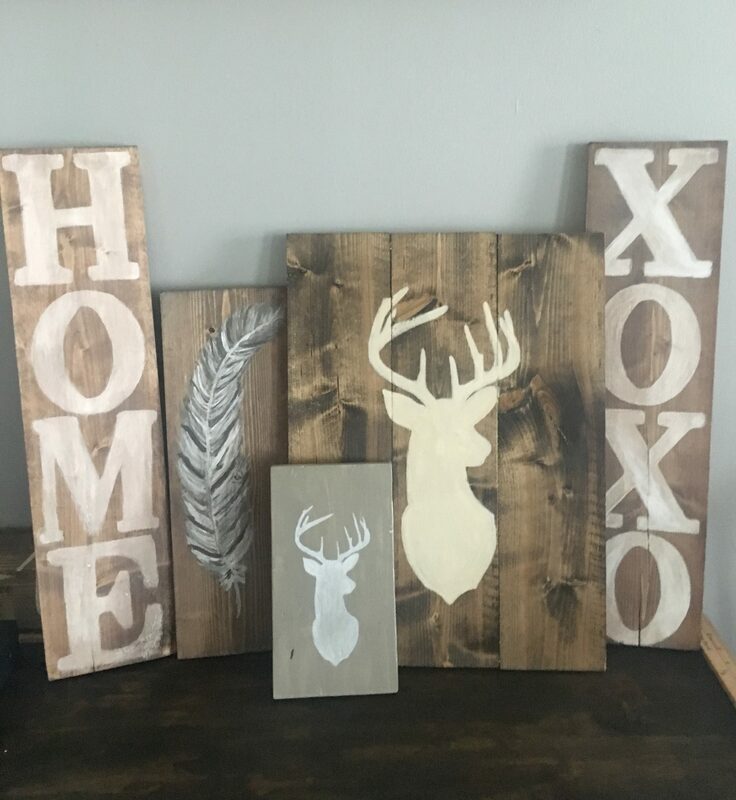 Arrows made with leftover shiplap. Cute trays made of skid wood.